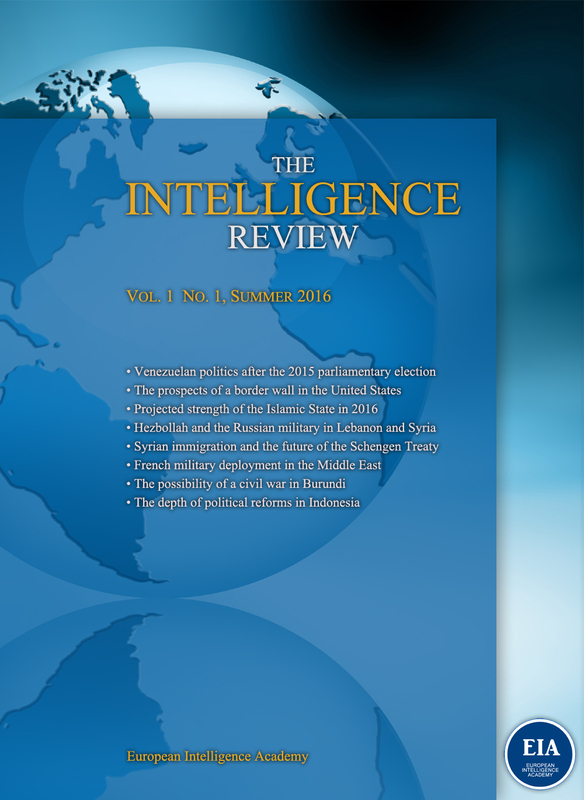 The Intelligence Review is the semi-annual peer-reviewed journal of the Chanticleer Intelligence Brief. It is published under the auspices of the European Intelligence Academy, a worldwide network of intelligence studies scholars, specialists and students, who are dedicated to promoting international collaboration in intelligence scholarship and research. The Intelligence Review contains timely and comprehensive analyses of major international security topics, which are produced by CIB analysts in the course of their analytical duties. These topics are carefully chosen to represent some of the most timely issues in global security, which feature daily in news headlines and pose pressing concerns for the world’s intelligence and security agencies. In every volume of The Intelligence Review, CIB analysts propose carefully crafted and informed forecasts that outline future developments in some of the world’s most unpredictable hot spots. To find out more about The Intelligence Review, click here. The Weekly Intelligence Brief is the weekly news bulletin of the Chanticleer Intelligence Brief. This publication is issued every week during regular semesters in both online and printed formats. Its purpose is to highlight current news developments from around the world that pose significant challenges from a security and intelligence perspective. News stories from around the world are produced by CIB analysts and members in accordance with the WIB‘s editorial submission guidelines. They are then submitted to CIB Heads of Desk, who edit them before forwarding them to the WIB‘s editors for final editing and publication. The WIB was an idea first proposed in the spring of 2017 by CIB Americas Desk member Lindsey Hamilton. In September 2017, Lindsey became the first Editor-in-Chief and Logan Jarrell (member, CIB Cyber Desk) the first Associate Editor of the WIB. To read the WIB, click here.